It’s no big secret that I am a mahooosive fan of the great outdoors, tree hugging, planting them or pretty much being just damn near enough to them. A horticulturist with a passion for the great outdoors, as RTE chose to much better than I could, word it. 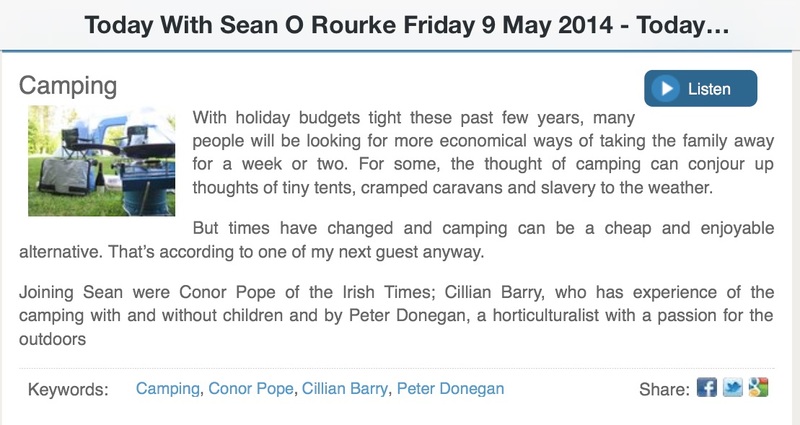 That in mind I was on chatting with the gentleman that is Sean O’Rourke last week. By his side was also Conor Pope and cillian Barry. Sean’s show airs midweek daily from 10am on RTE Radio 1.